Ill Wind by Rachel Caine – Quite enjoyed, and have a feeling the sequel will be even better. Rules of Attraction by Simone Elkeles – Bloody brilliant. I read this in a single go and adored it. I thought it was so much better than Perfect Chemistry (which I enjoyed) and totally rec it for YA fans! I read The Story of Edgar Sawtelle and loved it. I love the cover Rogue. Have a great day! When somebody says a book is “Bloody brilliant” you can guarrantee it’ll be a good read! Thanks, I’ll look out for Rules of Attraction. Looking forward to hearing what you think of Torment. And you’ve made me really want to start Rules of Attraction soon. I’m intrigued to see whether I’ll like it more than PC! 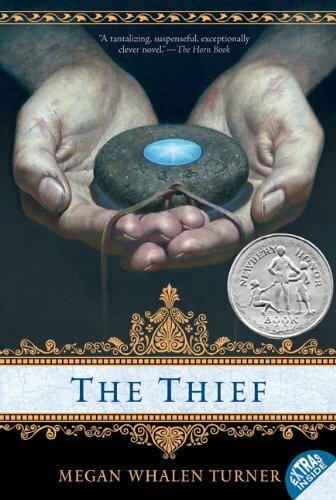 I am selfishly happy that you found The Thief to be only “Blah”! I read it recently and was left completely disappointed. It wasn’t bad, but I felt completely bored by it. 🙁 And I have Ill wind in my TBR, I should read it! OOH Rules Of Engagement is on my wish list! Glad to hear it is FAB! 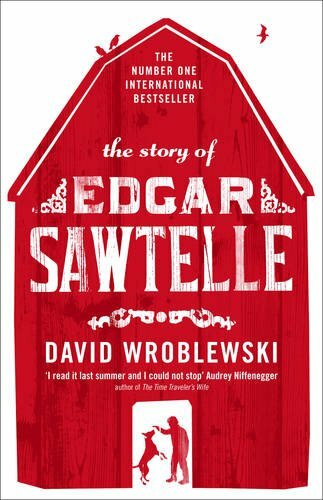 I had absolutely no idea that The Story of Edgar Sawtelle was a retelling of Hamlet. I’ve sold the book to a lot of people who came in asking for it, but that little fact never came up. Sorry you didn’t enjoy it, but I can see why. Though I enjoyed Hamlet more they say King Lear/ Thousand Acres.